Now that you’ve read up on possible details of the upcoming Moto X5 and Moto G6 line, let’s dive into flagship territory with the Moto Z3 family. Like those other phones, we believe we may have a first look at both the Moto Z3 and Moto Z3 Play for you today, as well as a bonus in Motorola’s 5G Moto Mod. 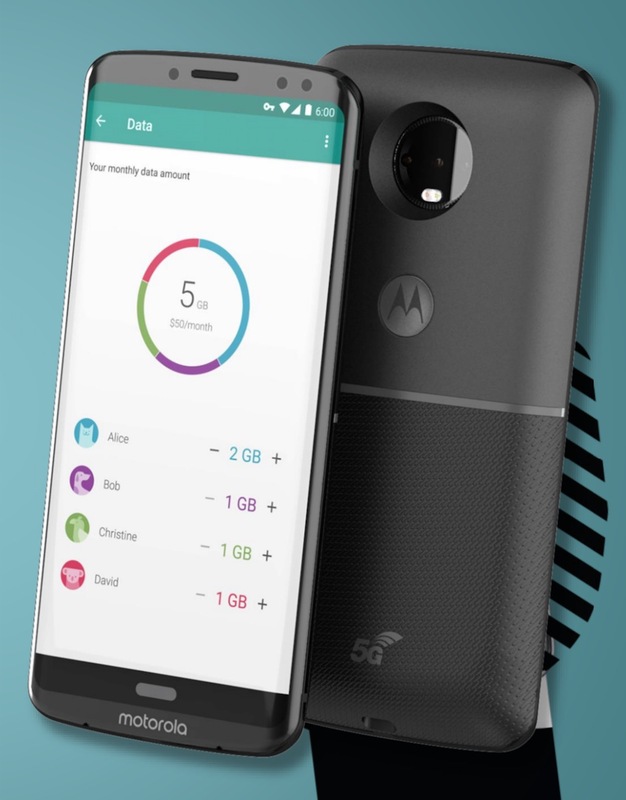 Apologies again for the tip-toeing, but like the Moto G6 and Moto X5 stories, we were unable to verify this Moto Z3 info with a second source. Take it all with that in mind while understanding that this would be quite the hoax should it not be legit. Details this time around are somewhat scarce, but you can see from the Moto Z3 Play image up top and the Moto Z3 image directly below, that Motorola is going with an all-display front on these phones, similar to the Moto X5. That’s an important step for Motorola, since they locked themselves into a similar shape by keeping the current crop of Moto Mods around for three years. In other words, this needed to happen if the Moto Z3 line was going to stay relevant. Information we’ve reviewed suggests 6″ FHD+ (18:9) displays in both phones. That may seem odd, but the roadmap for Motorola appears to include a third Moto Z3 device with a Snapdragon 845 that will arrive later on that could have a higher-res display. Neither phone has the X5’s iPhone X-like notch, but they do each include that bottom white software button that we’re assuming is for navigating the phone. As noted previously, Motorola has allowed phone owners to switch between on-screen navigation buttons and fingerprint reader-swipe style. This could be the modern software version of that. We aren’t finding fingerprint readers on either phone, though. Like on the Moto X5, does that mean no fingerprint reader in place of something like facial recognition or has Motorola and Lenovo embedded them under the display? We just don’t know at this time. In what may the most interesting piece to this whole story today, we’ve got this image of a Motorola 5G Moto Mod. Before you roll your eyes completely at this, let’s not forget that just over a year ago as Motorola was doubling down on Moto Mods, they talked openly about a future Moto Mod that would add 5G capabilities to a phone. It seemed like a wild idea, but the image above suggests they may still be planning one. Either that, or Motorola was telling customers, vendors, or partners that this was a possibility and needed an image to hammer the point home. We know nothing else about it, so again, take it for what it’s worth. 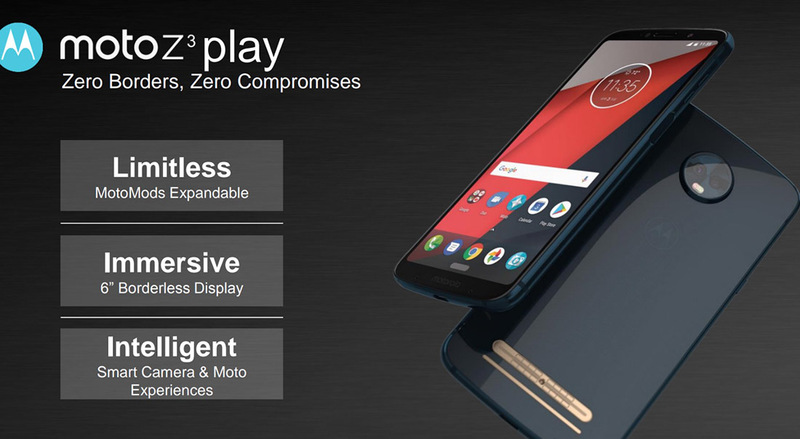 Motorola announced the Moto Z2 Play in early July, followed by a second announced for the Moto Z2 Force a few weeks later. I think it’s safe to assume these new Moto Z3 devices could arrive at a similar time.